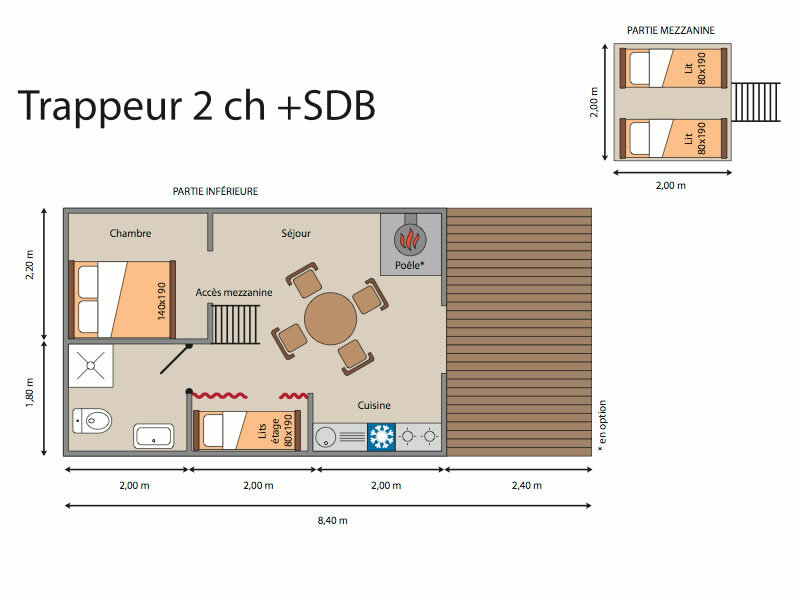 6 chalets, one adapted PRM for 6 people, of around 35 m² on plots of 150 to 200 m²! Living room, dining room with equipped kitchenette (refrigerator, freezer, dishwasher, hotplates, microwave oven and sink), tableware and kitchenware, electric heaters in every room. Pillows and comforters are always provided, sheets provided on demand, Private terrace with garden furniture. 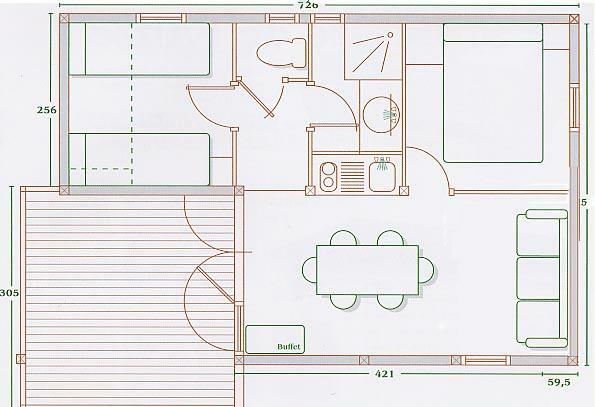 4 ecochalets of around 35 m² (2 ecochalets for 5 people and 2 ecochalets for 5 to 7 people) on plots of 150 to 200 m2! Living room, dining room with equipped kitchenette (refrigerator, freezer, hotplates, microwave oven and sink), tableware and kitchenware, electric heaters in the living room and bedrooms. Private terrace with garden furniture... some even have a lake view! 6 chalets of around 25 m² (4 chalets for 6 people and 2 chalets for 5 people) on plots of 120 to 180 m2! Living room, dining room with equipped kitchenette (refrigerator, freezer, hotplates, microwave oven and sink), tableware, kitchenware and heaters at your disposal. Mezzanine with 2 single beds, which is possible to join in order to make one double bed. Small wood burning stove to warm yourself by on colder autumn evenings! Living room, dining room with equipped kitchenette (refrigerator, freezer, hotplates, microwave oven and sink), tableware, kitchenware and electric heaters in the living room and bedrooms. Chalet of around 35 m² on a plot of approximately 80 m2. Adapted to people with reduced mobility. Living room, dining room with equipped kitchenette (refrigerator, hotplates, microwave oven and sink), tableware and kitchenware, electric heater in the living room and bedrooms. 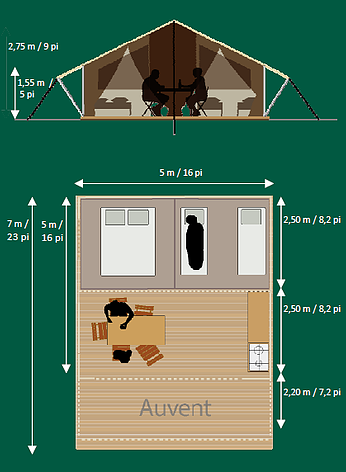 4 Lodge Tents, 25 m² plus a 10m² terrace. 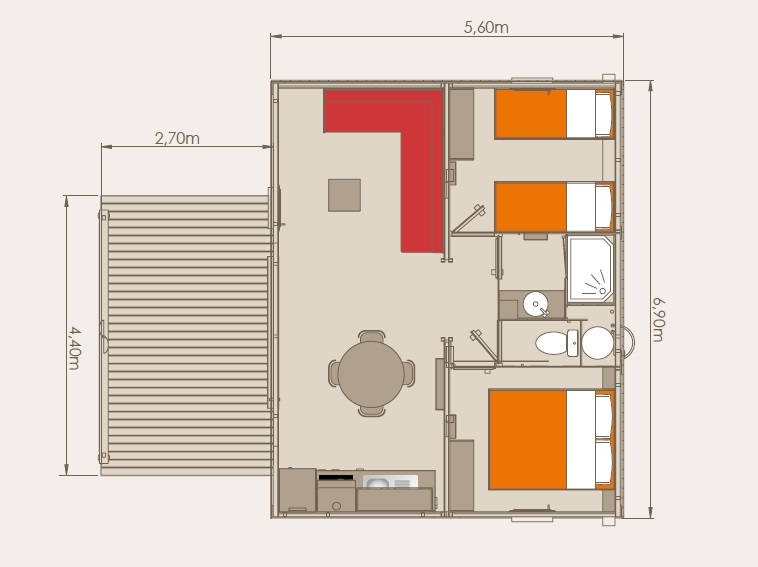 A spacious and comfortable tent, 2 bedrooms with double canvas lining, lounge completely open over the covered terrace. Refrigerator, freezer, hotplates and tableware available. 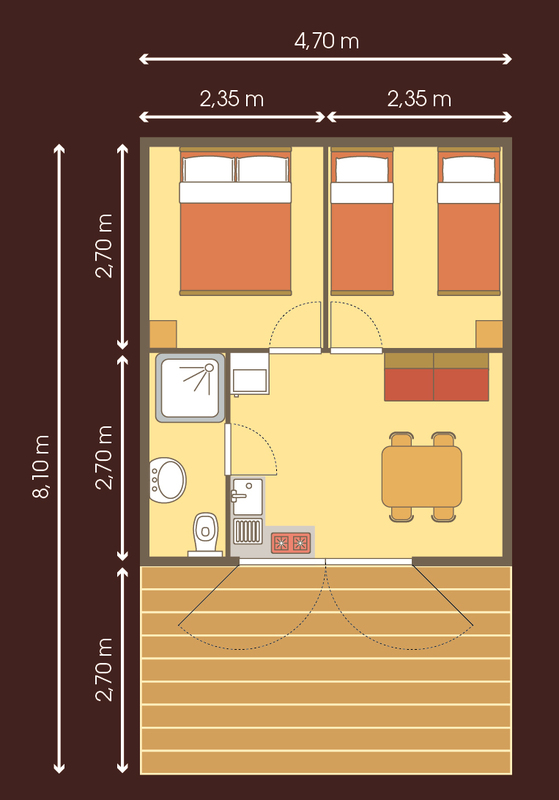 Bedroom with 2 or 3 single beds (one being a bunk bed). Storage for clothes and personal affairs. A spacious and comfortable tent, 2 bedrooms with double canvas linning, lounge completely open over the covered terrace. Refrigerator, freezer, hotplates and tableware available.